Home / Knowledgebase / Dataplugs FAQ / Accounts and Billing / I would like to pay for my invoices using the customer control panel. Click on “Billing” tab, and then click “My Invoices”. 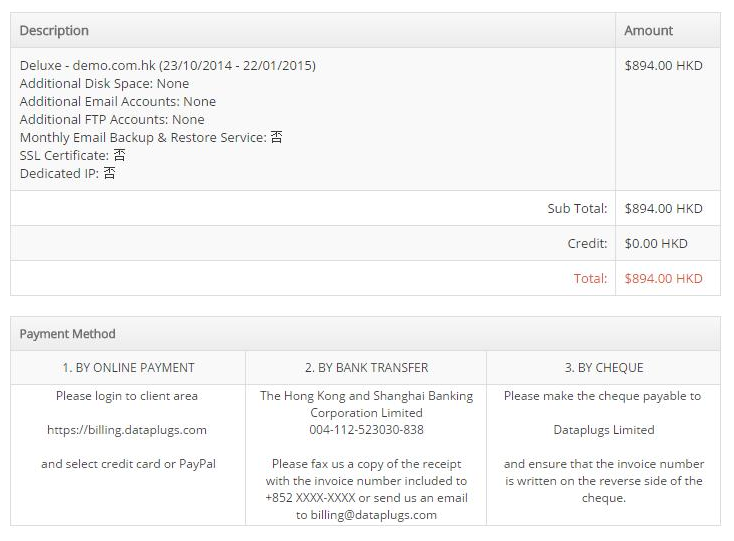 Click “View Invoice” to view the details of unpaid invoices. The invoices will appear in a new page. Then select “Payment Method” at the top right corner to settle payment.